Hey guys, Jay here. Finding that natural lip color these days isn't always as easy as you may think. So today I'm going to tell you guys about a great natural lip gloss, and the crazy part is that it's PURPLE! Hope you enjoy. Purple, glossy and natural. That's the main description of this great gloss I'm showing you guys. The lip gloss is the Benefit Ultra Plush Lip Gloss in "Kiss You". The color may seem striking at first seeing as it's a purple fuchsia color, though if you blend it out the color looks more of a light pink color, and the glossy finish gives it more of a natural look. 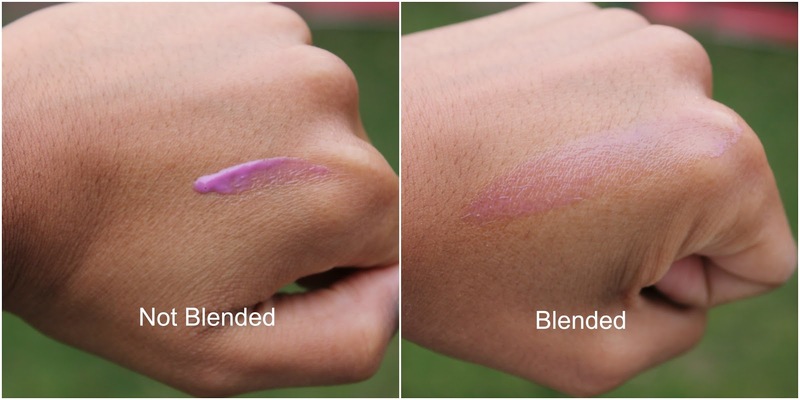 Though the unblended swatch may seem very pigmented and purple, once you blend it out, which you see in the second swatch that it is a very light pink and purple gloss that looks extremely natural on the lips. Comment your favorite natural lip products down below.